In 2013 the Glasgow Law School celebrated the tercentenary of the creation of the Regius Chair in Civil Law. Founded in 1713 with an endowment by Queen Anne, the Regius Chair represented the revival of law teaching – which can be traced back to 1451 – at the University of Glasgow.The first holder of the Chair, William Forbes, was appointed in 1714, and was followed by many distinguished legal scholars, including John Millar, William Gloag, Andrew Dewar Gibb, David Walker, Joe Thomson and the current holder, James Chalmers. 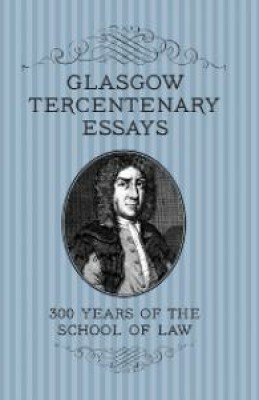 range of subjects reflecting the broad compass of law teaching at Glasgow, from the modern teaching of international law to a 1705 trial for piracy which precipitated the Act of Union.